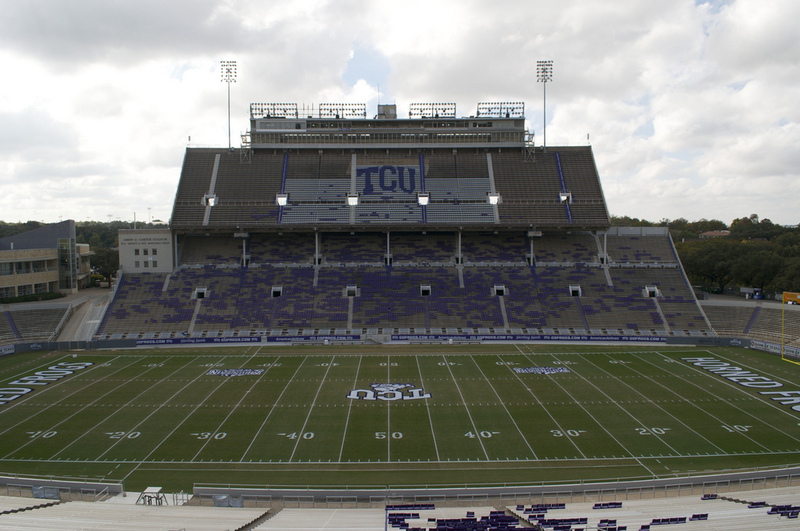 Amon G. Carter Stadium is a college football stadium on the campus of Texas Christian University in Fort Worth, Texas. It is the home stadium of the TCU Horned Frogs football team and was named after Amon G. Carter, a prominent Fort Worth businessman, newspaper publisher, and city booster. Amon G. Carter Stadium was built in 1930 and has a present capacity of 45,000. The TCU football stadium started a $164 million renovation, which began immediately after the 2010 football season and was completed during the 2012 season.